Today you can save Israeli hospital patients from loneliness this Passover! Be a host this Passover and sponsor a patient so they can forget their pain and enjoy the spirit of a Passover Seder. Give 1,900 Israeli Patients and their families the ability to celebrate Passover in 16 hospitals across Israel. 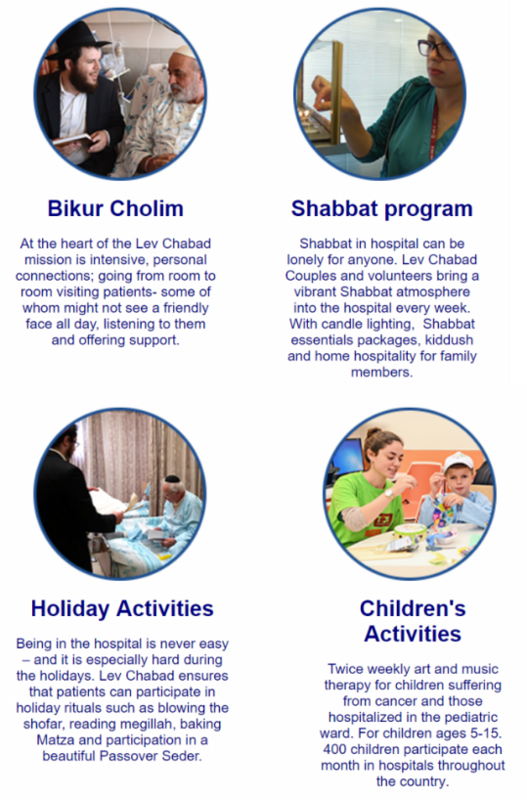 "SPREADING JEWISH LOVE IN 18 HOSPITALS ACROSS ISRAEL"
Lev Chabad provides physical, emotional, and spiritual care for patients and their families in Israel’s hospitals. 1,900 hospital patients and their visiting family members will participate in Lev Chabad's Passover Seders in 2018. Lev Chabad organizes and leads Passover Seders in 16 Israeli hospitals. 18,000 personal Matzas will be distributed in hospitals before the Passover Seder this year. 48 Lev Chabad volunteers will spend Passover Seder in the hospitals, together with Lev Chabad staff and patients. 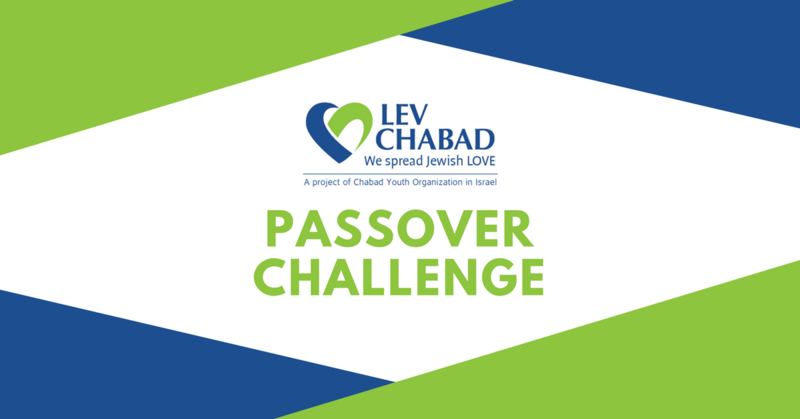 Lev Chabad provides complete meals for patients that include eight different salads and a number of fish and meat dishes.